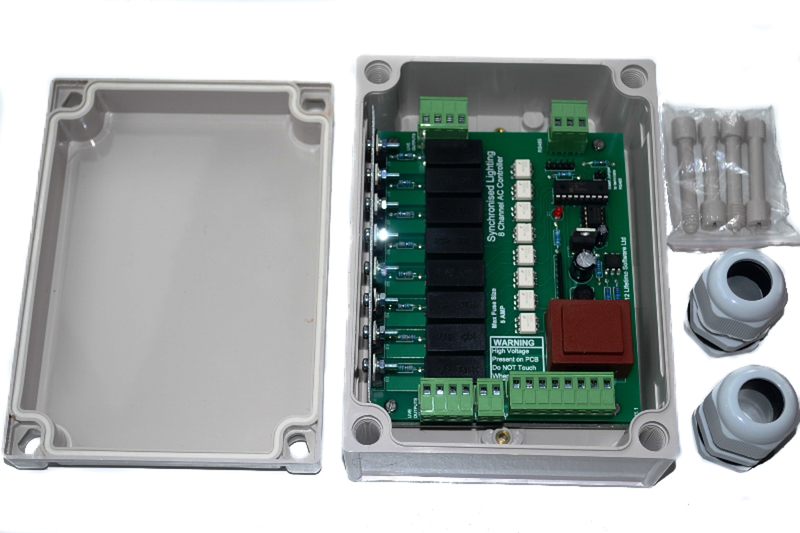 240V AC Lighting Controller allowing control of up to eight 240v outputs. 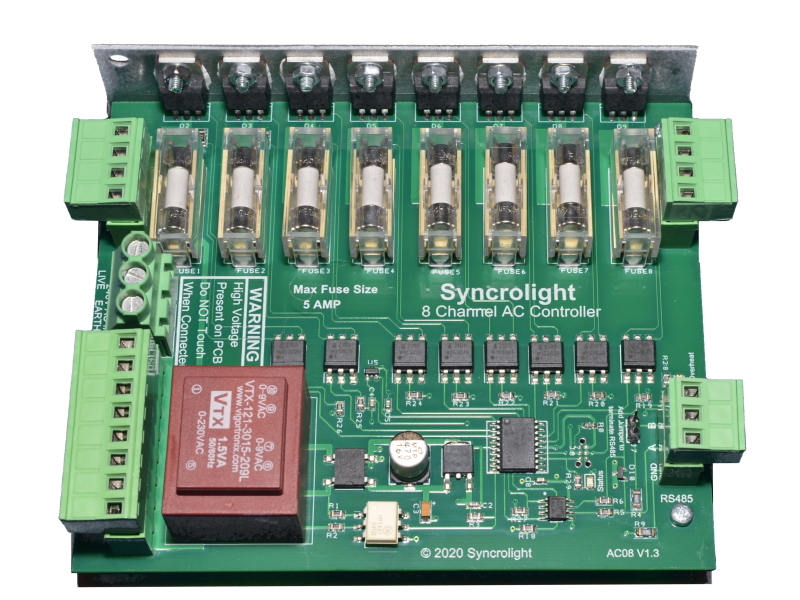 Allows control of 240V AC lighting equipment in a Syncrolight light display. Suitable for use with Syncrolight Software package. Can also be used stand-alone using programmable built-in sequences. USB-RS585 Cable required (available separately) for computer connection. Multiple controllers can be connected together on a single USB-RS485 cable. Programmable built-in sequences for stand-alone use. Compatible with other Syncrolight Controllers.